For months, I was deliberating whether or not to purchase some Sugarpill. Could I justify it, given that I own a monster Inglot palette full of brights? 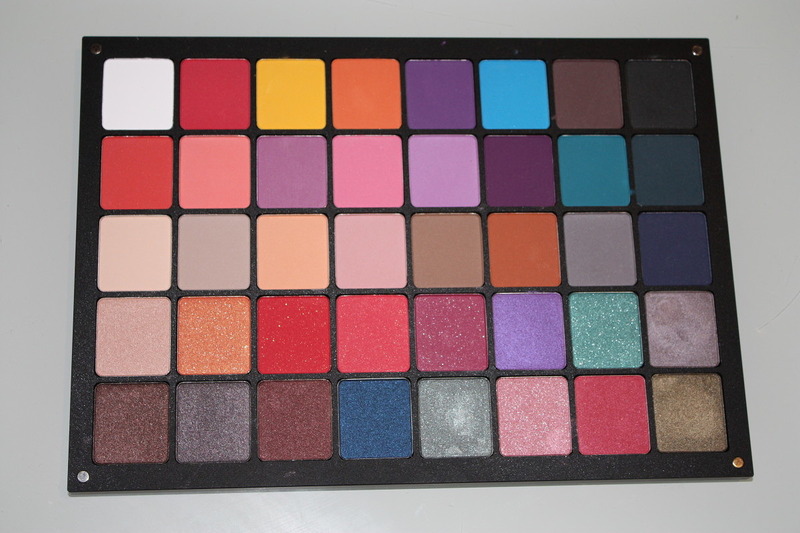 Click here for swatches of my Inglot palette. 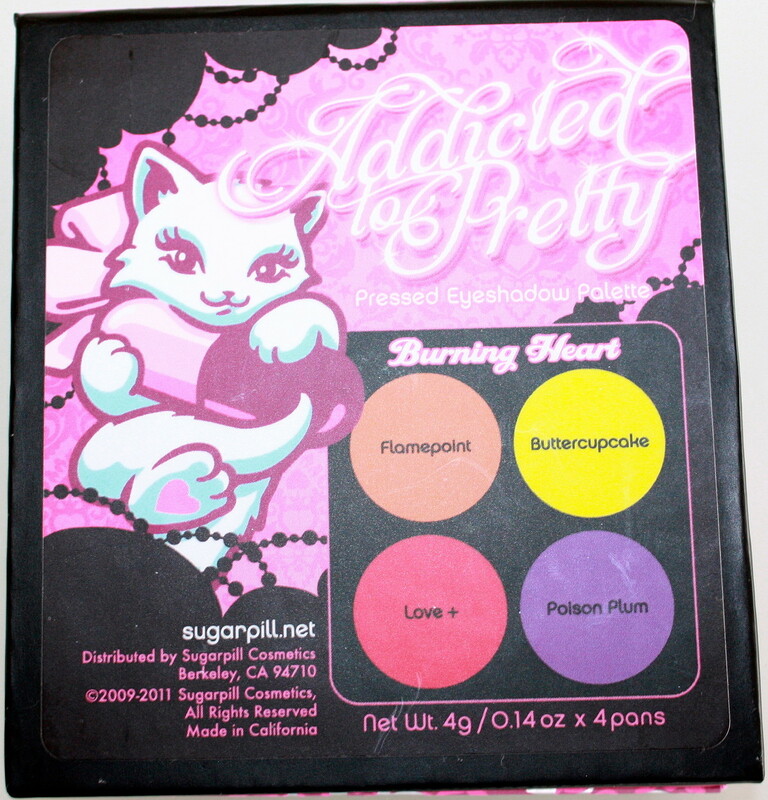 We all know how this story ends- I purchased the Sugarpill Burning Heart Palette and Lumi Pigment on CameraReadyCosmetics, along with materials for pressing Fyrinnae Pigments (tutorial post in the making). Now, I rarely mention packaging, generally I have little opinion on the subject. But really, Sugarpill, what is this? Why is there a cat on my palette? Paired with a cross? And a crown? So many unanswered questions. Undeniably ugly. – Love+, a true red that doesn’t lean orange nor pink. Although it may appear to be a matte, it does have a slight sparkle similar to the Inglot DS line. – Poison Plum, a rich violet shade with pinkened undertones. Same finish as Love+, matte base with almost undetectable sparkle. 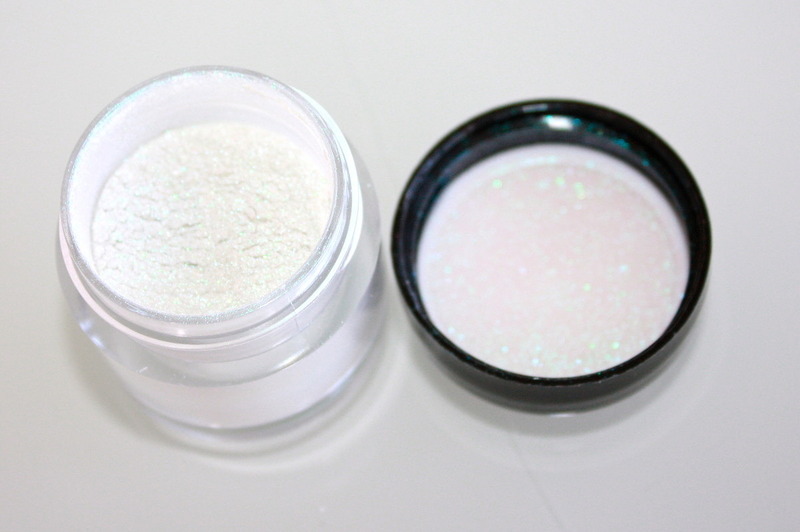 Also, a picture of Sugarpill Lumi Pigment in the pot. You may be able to detect that the white shimmer has a teal gleam, depending on the lighting. Nikkietutorials introduced me to this and I think it will be a unique inner corner highlight. My review of the colours, pigment and texture at the end of this post. 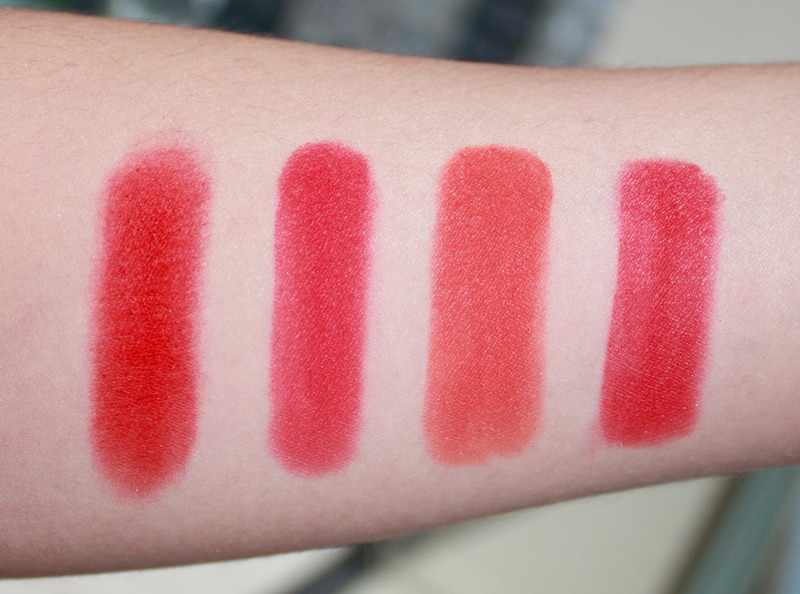 Firstly, swatches! In the interest of being ultra thorough, each shade in the quad compared to similar counterparts in other brands. My opinion on this palette is mostly positive but marred by one aspect; my Love+ pigment and texture is pretty horrid. The product is very hard and required a lot of rubbing to obtain a decent swatch. It’s such a pity because it is the perfect primary red shade; in comparison my Inglot 382 & AMC 50 look fuschia and the Inglot 366 looks peach. I spoke to others that own this palette and many reported that they had the same issue but with different colours, this leads me to think that Sugarpill may have a quality control issue and this will deter me from buying another palette from them in the future. I emailed CameraReadyCosmetics to determine whether there is a remedy but I have not yet received a response. Ranting aside, the other shades in this palette have magnificent pigment and texture, slightly harder than the Inglot but none of the powdery characteristics associated with some Inglot eyeshadows. – Buttercupcake prevailed over the Inglot 323, which has a white base that can sometimes appear powdery. In case it wasn’t clear, I’m very pleased with three out of four eyeshadows in this palette and I think I’ll get great use out of them! A look is coming soon! Any of my readers own Sugarpill? What are you thoughts? Did you experience any problems with pigment or texture? I’m surprised you had trouble with your red. I have all the Sugarpill palettes and haven’t found a bad texture in the whole lot. Maybe it is a quality control thing and I just got lucky. I think the packaging is appropriate. 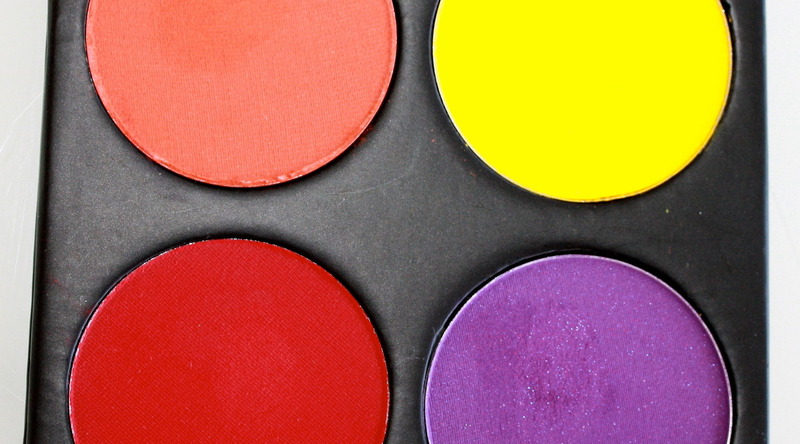 I most certainly wouldn’t expect to see anything posh or sleek on the outside of a palette with these colors. You almost Have to house bright matte primaries in loud over-the-top silly cases, but I wouldn’t mind if they changed it up a bit each palette has that exact same design on it. How would you have decorated the Sugarpill lineup? 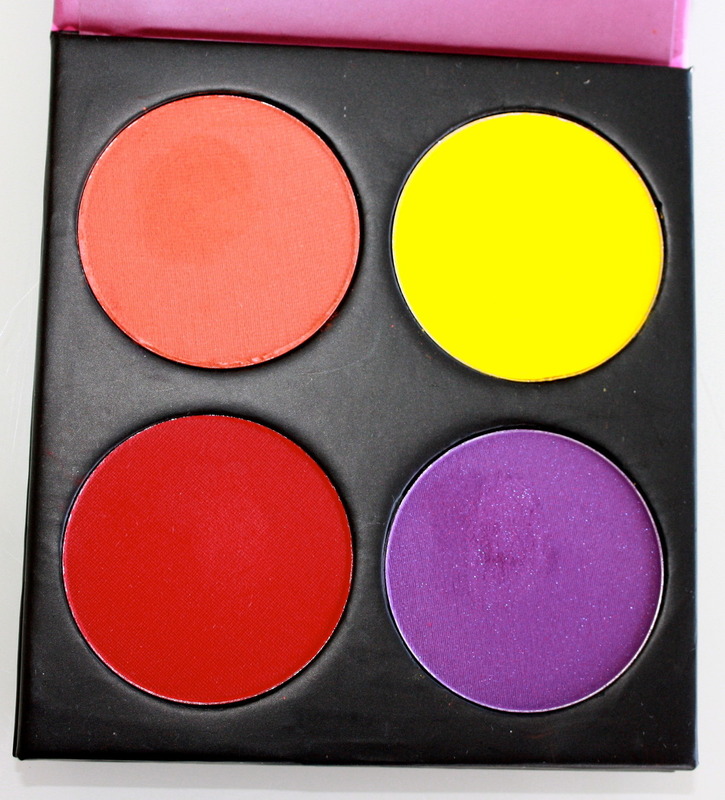 The other palette that intrigued me was Heartbreaker- how do you like that one? If I choose to buy more Sugarpill, i’ll purchase of their website, I have a feeling the customer service might be better if I receive another dud. In terms of packaging, I like simple and sleek packages. This one just pressed all the wrong buttons for me, I’m not into cutesy prints. I guess it’s all part of their branding. I bought one Sugarpill eyeshadow a while back – the matte black pressed one. I had heard it was amazing, but it was too hard and didn’t give very much color. Some people have such good experiences with that black that I totally agree that they probably have quality control issues. I’m thinking about buying the black, again, to see if I get a better one – but I really shouldn’t have to do that! Where did you purchase, Emi? The fact that different colours have the same issue makes me think there may be an issue with their pressing element. Would you like to see swatches of all my black shadows? I can link it to you. I say go Inglot, in this case! 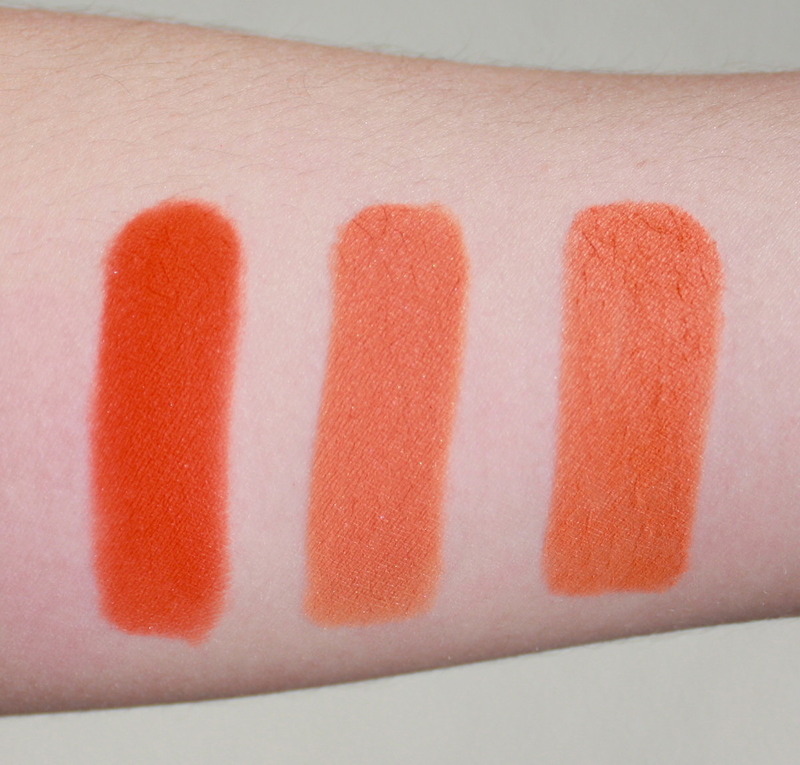 I swatch on my arm so I think it’s unlikely to be a oily skin versus dryer skin issue. I truly believe that there is a LOT of quality disparity between Sugarpill pressed eyeshadows! I’m still waiting for a response from CameraReadyCosmetics! Hopefully they can replace that one shadow or refund a small amount so I can buy the single Love+ eyeshadow. Texture is such a personal thing, I definitely notice a difference between Sugarpill and say, Rouge Bunny Rouge. Neither is ‘better’, in my opinion, just different. 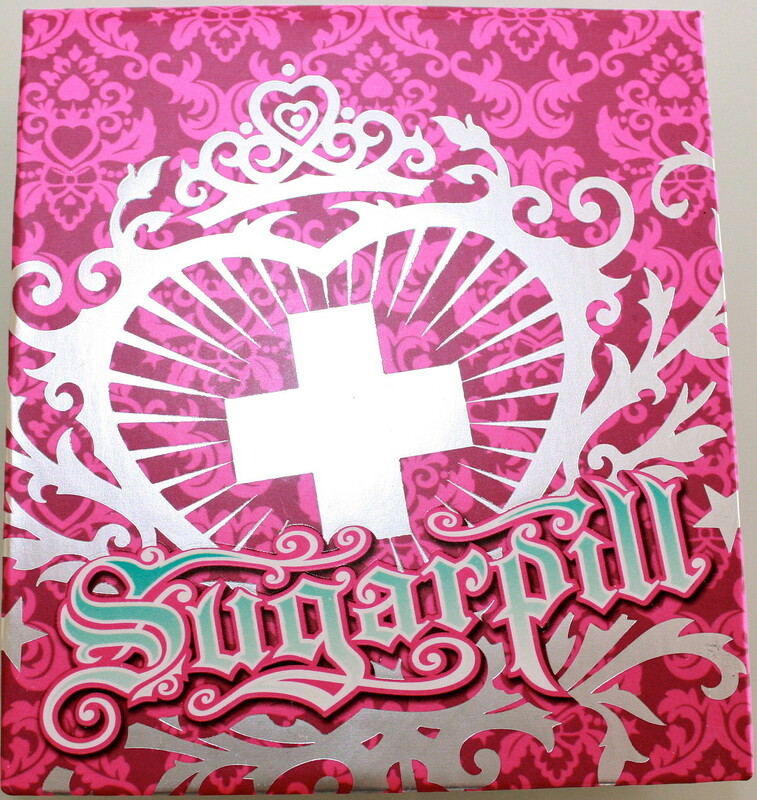 As I said earlier, I urge that everyone looking to buy Sugarpill purchase from their website. That way, if an issue like this arises, they are more likely to obtain a remedy of some sort. excuse me, typo. I meant to write Emi, not Ema. this was a great post Karima,i agree with everything you said! i have not actually bought any of their pigments,i kind of just feel like there are so many great indie companies that are just as good.i recently seen a post where there were some really good fyrinnae dupes for sugarpill too 🙂 thanks for sharing! If you recall where you read that post, could you link me? I feel like a lot of companies lack great quality, bright mattes. They must be tricky to get right! I love the Inglot Palette too, very versatile! Hello! I stumbled upon your blog upon trying to find reviews of underperforming Sugarpill pressed eyeshadows. What a relief to find out I’m not the only one who had major problems with this palette! I could not get the red to show up at all, and the other shades are all chalky and hard! I wanted to chime in that my other two palettes are also mixed in terms of quality. 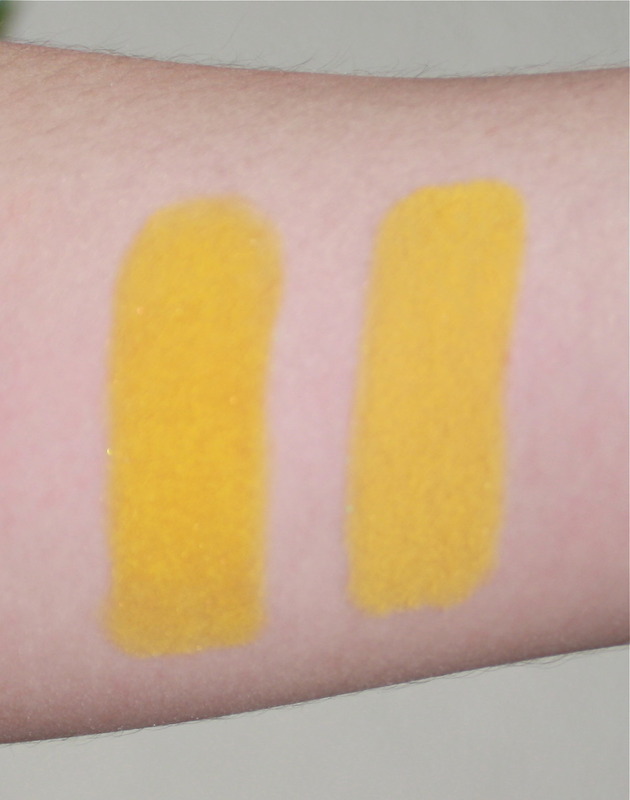 A couple of shadows are smooth and satiny, but the majority of them are all powdery, but still pigmented. However, the chalkiness makes it hard to blend the colors as precisely as I want them to to create a gradient effect. You are definitely not the only one to experience variations in Sugarpill eyeshadows! It’s pretty common, actually… which is worrisome. Luckily, I only had issues with Love+, my other shadows were wonderful. The difference is really stark so I know it’s not my imagination! Do report back and let me know how Sugarpill customer service responds, I would be willing to purchase from their site if they have a suitable remedy for poorly performing eyeshadows. Hello! 🙂 I had the same problem with love + it was very hard and had almost no color payoff. I was extremely disappointed and was considering repurchasing because I had such high hopes for this product. I purchased mine from Makeup geek. Was anyone able to find out more info on the problem or get any kind of resolution? The best remedy that camerareadycosmetics could offer me is a refund (which would mean I’d have to send it back and I couldn’t be bothered). The next best thing is to lightly scratch the surface of the eyeshadow with a mascara spoolie or similar, to help loosen the product. Sorry to hear you had issues, too! I just wanted to let you know that I contacted the makeup geek store last night and this morning they responded that they were sending me a free love+ replacement! I hope the new one will work better. Wonderful! Fantastic customer service, I wish camerareadycosmetics offered me that solution! Let me know how the new Love+ goes, good luck! I just received my new love+ and the difference is unreal. At first I thought I was crazy but now that I’ve swatched both side by side I know I was right. it’s kind of concerning though just glad I haven’t had any problems with my other colors. But I must have really bad luck! 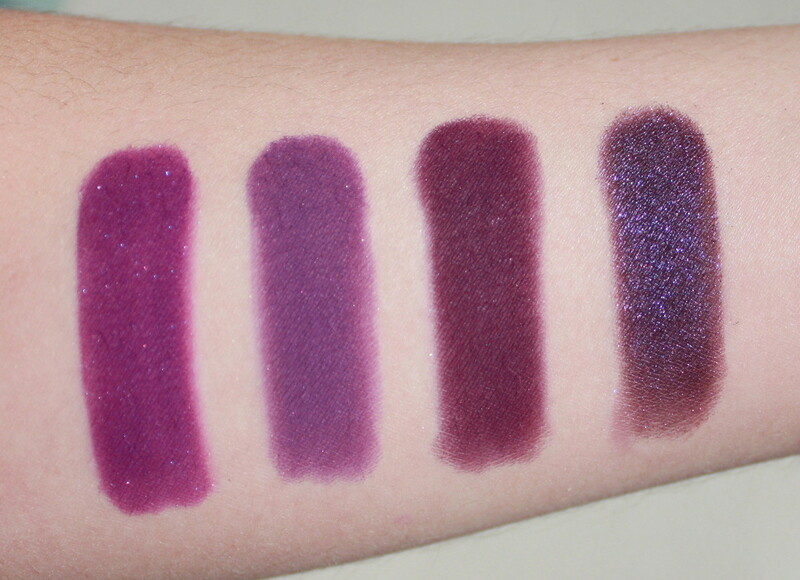 I purchased another Poison Plum single shadow from Beautylish just a few days ago with a coupon code I had, and it is just as hard and poor in pigmentation! I wish I was as lucky as Rosanna G and her love+, but, alas, I will be emailing Beautylish for a refund or exchange. I don’t think I’ll be purchasing any more shadows from Sugarpill. I can overlook things if it happens once, but twice? Please, Sugarpill, work on your quality control. Thanks for the update, Christina! Maybe I’ll stick to pigments from now on. I know this post is from a few years ago, but a few months ago I purchased the Sugarpill Edward Scissorhands palette and while the colors are beautiful, (I finally found a grey color I love!) but they are pressed super hard into the pans and I had to dig product out with my fingers to get any color pay off from all of the colors except the white and the grey. It really bums me out cause for what I ended up with I don’t really think the palette was worth the money. I really hope they fix their quality issues, because I would love to purchase a lot more of their colors, but I don’t want to spend $12 / shadow and have products I can barely use. I have had the Scissorhands palette since November and I barely ever even touch it, because it’s so difficult to use. The light blue color in the palette, fades after an hour or two even with a primer, so that is also pretty disappointing.